Thank you for taking interest in my comment, and clicking the link to find out more about the person commenting. My name is Bojan, and I am the guy running this website. Chances are you stumbled upon this page, by reading a comment that I’ve left perhaps on your website or on a website that you are truly passionate about. Well dear comment reader or blog owner, I wish you a very warm welcome to Alpha Efficiency. I’ve started this blog as a way to help people increase their personal, and workplace efficiency in technology enhanced world. As you might be a blogger, I would encourage you to check out my Writing Workflow guide, if you need ideas how to chunk out high quality articles in less time, with the little help of Markdown Syntax. Here you will find a lot of tools that will help you get your work done. Also as I am a digital self publisher, you will find a lot of useful apps and services that are helping me get ahead in the virtual playground. Chances are, if you are a website owner, that you will find a lot of Alpha Efficiency practices more than suitable to implement in your own workflow. 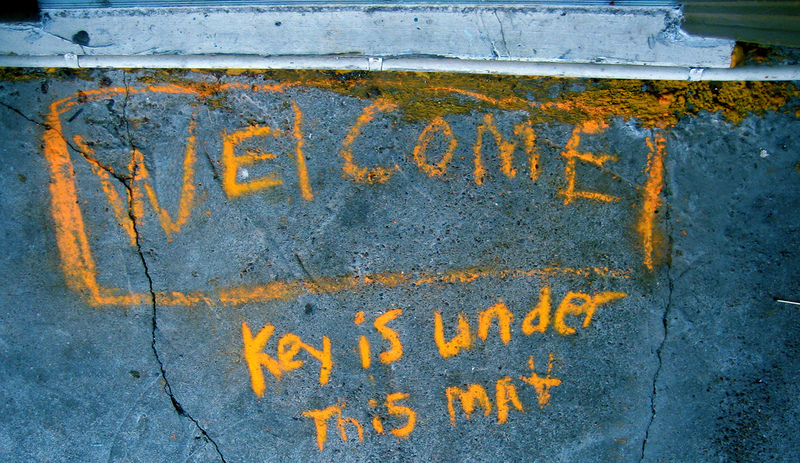 Now that Welcome Mat mentioned a key. For the time being, the key is just to get started. Having the willingness to invest time now, for a better and more productive future. I would welcome you to join our mailing list (Opt-In Form to the right), or start following us on Twitter and Facebook. I hope we build an amazing relationship to our mutual benefit.